The application period for the Summer Bridge Program has ended. Please contact Roberto Pelayo (robertop@hawaii.edu) if you have any questions. 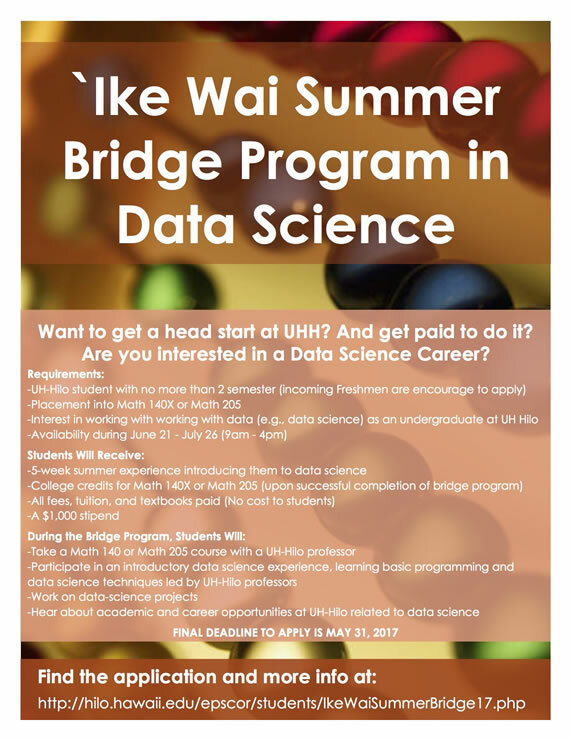 What will students do during the ʻIke Wai bridge program?